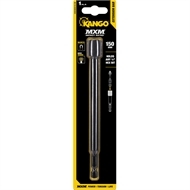 Reach difficult bolts, nuts and screws with extension bars from Kango. 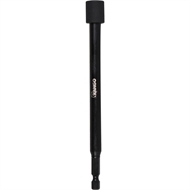 The 150mm MXM extension bar provides added reach when fastening, giving you precise control with challenging applications. Then swap between the bits you need with the quick-change function. 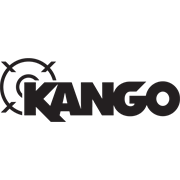 Forged in a multi-stage construction process, Kango’s extension bars provide the hardness and flexibility perfect for high-torque applications. 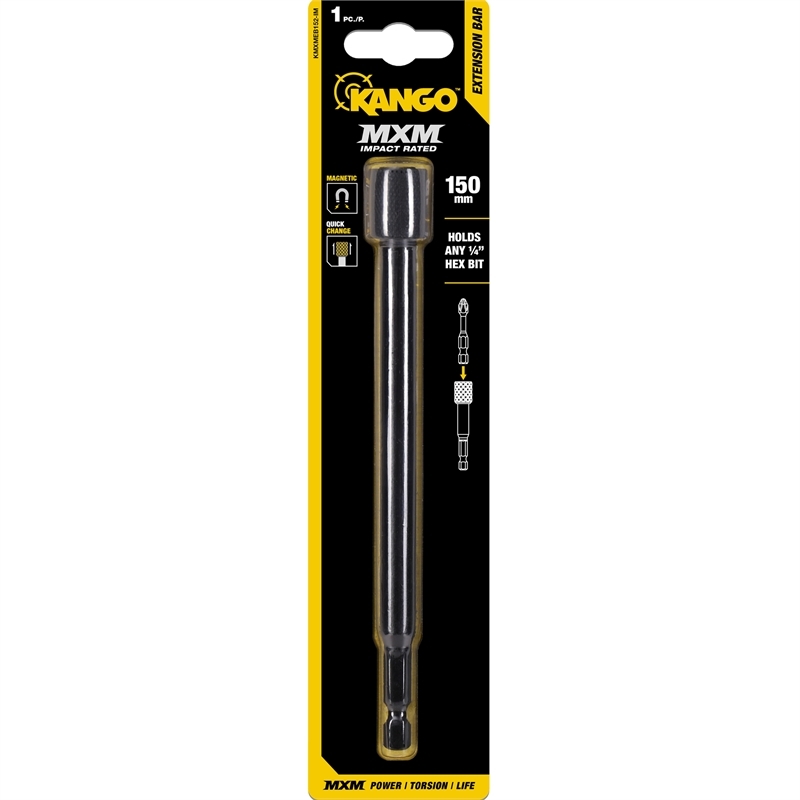 Find industry-leading fastening performance with Kango’s 150mm MXM extension bar today.